At the upcoming International Manufacturing Technology Show (IMTS) 2016 show on September 12-17 comes an opportunity to view not only HEIDENHAIN’s newest motion control breakthroughs to the world (Booth #E-5226), but also see highlights from two of its many internationally-owned entities: ETEL and ACU-RITE brand. The IMTS show will be held in Chicago’s McCormick Place. 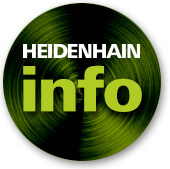 Regularly meeting the needs of the machine tool industry, this year’s 50×60-foot IMTS-HEIDENHAIN booth will be host to many of the industry’s very latest motion control options including a brand new and long-awaited QUADRA-CHEK 3000 digital readout, extraordinary HEIDENHAIN encoders (including RCN 6000 angle encoder and LP 100 linear scale), and unique TNC control/capabilities. ETEL’s TMB+ torque motors, as well as the well-known ACU-RITE MILLPWR G2 CNC control with enhanced features will also be shown. This newest line of ETEL’s next generation direct drive torque motors improves upon the exceptional design of the well-known TMB series with even greater material quality, new size additions (62 sizes up from 50), higher force density and more winding options. These motors can achieve peak torque values up to 44,000 Nm. HEIDENHAIN’s sleek new QUADRA-CHEK 3000 evaluation electronics box is designed for measuring 2-D geometrical features quickly and easily, utilizing technology that, up to this point, has only been available on PC systems. With a robust design focused on HEIDENHAIN quality that customers have come to expect, the QUADRA-CHEK 3000 is right at home in the lab or on any shop-floor. The ACU-RITE MILLPWR G2 control is today’s easiest-to-operate CNC for vertical knee and bed mills. 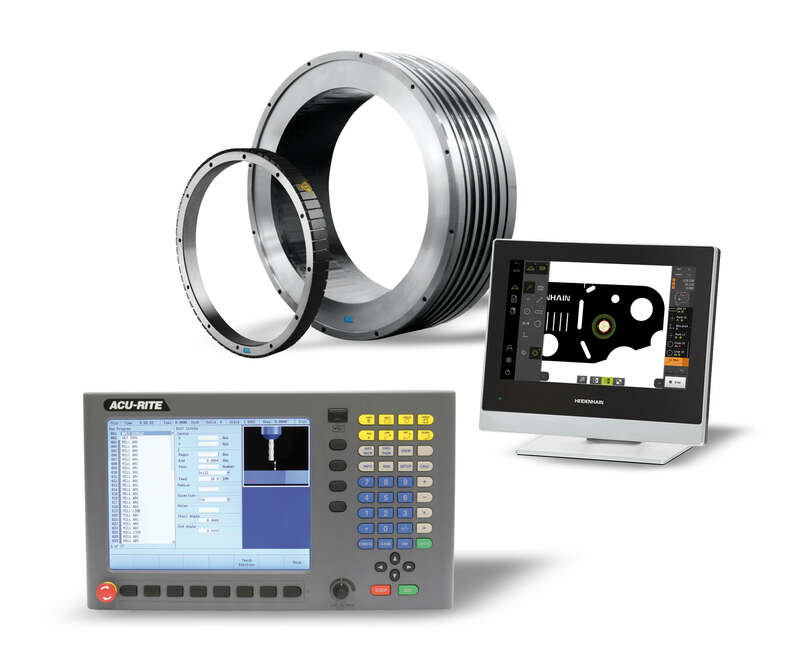 It is available with an optional AMI (auxiliary machine interface) and spindle control console offering users the ability to use common interfaces as well as control its host machine tool’s spindle making it more powerful than ever.